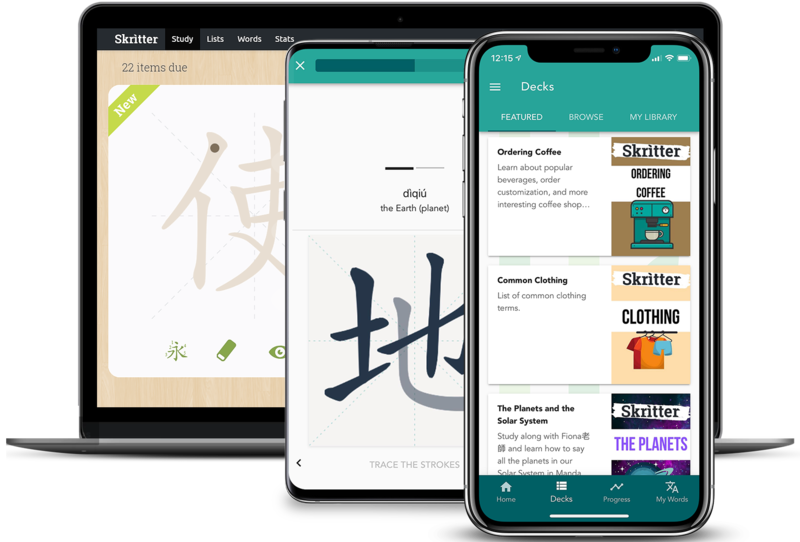 Skritter gives you immediate stroke-level feedback and helps you review hard characters more often. Start learning from hundreds of textbooks and users' lists, or make your own. Learn new characters in less than a minute, and remember 95% of what you learn. Learning to write Chinese characters has never been so fun. From writing zero to 2000+ characters in six months! Skritter app is so addictive, can't stop practicing! The best thing on my way to mastering Mandarin. Buying for a school? Check out our school information & pricing page.